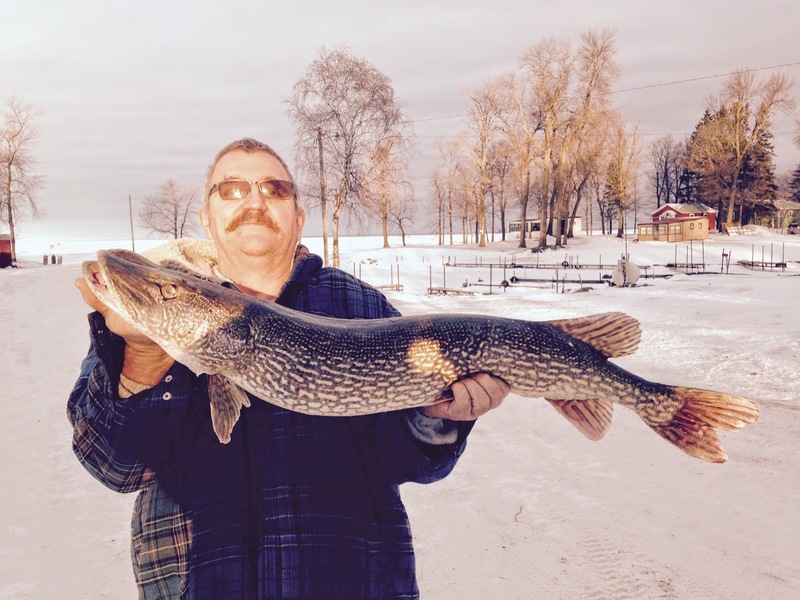 It's hard to believe that the end of the 2014/15 winter ice fishing season is upon us. Walleye season closes this Sunday, February 22, 2015 and, as in the past, we pull all of the houses off by that day. If you have not reserved a pull-off time, please call or e-mail as soon as possible. We schedule times from 8am until 1pm and many of the later times are already spoken for. We have some summer spots available on the lake side of the highway so if you plan to use your house quite a bit in the summer, you might want to consider a lake side spot. You are closer to the lake and the restroom/shower house and you can have campfires which you cannot have across the highway. There is a summer fee of $850 which includes all of your overnights, electric while you are up and all of your boat launches. It can be paid over 3 months including a small finance charge. We have a few summer RV spots available with full hook ups. Some are right on the lake shore. Please talk to us if you have any interest in one of these. Fishing was a little more challenging last weekend and during the week. 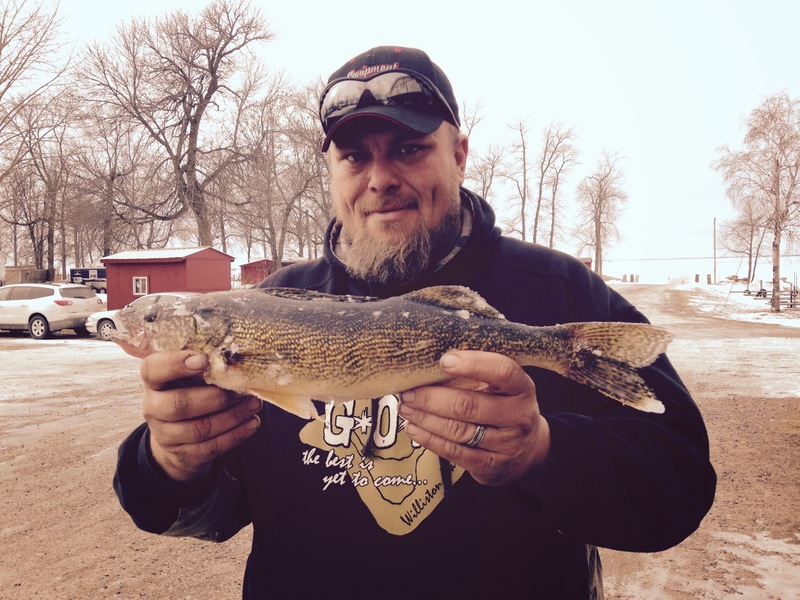 Maybe we can blames it on the cold weather or lack of people fishing but we seemed to find a lot more smaller walleyes and perch and a fewer larger ones. This is different than what we have seen most of the year so it may change once it warms up a little. We have caught some of the nicest perch this year I have ever seen, up to an honest 14 1/2 inches. That was a monster. Hopefully they show up on Saturday for those fishing in the Perch Extravaganza. 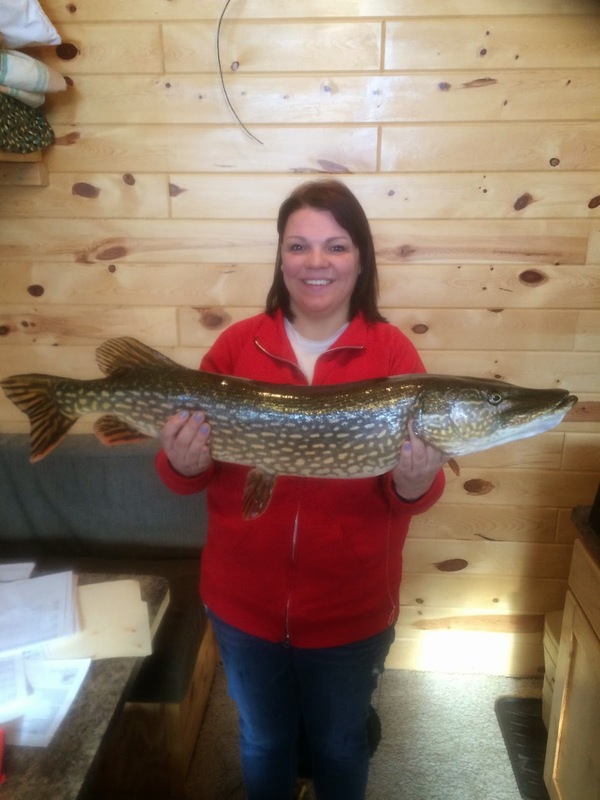 We would like to thank you for your business, your friendship, and your patience, It has been a much better year for fishing than many predicted and we hope you have enjoyed your ice fishing season. We hope to see you in the spring and during the summer. This week the bite has changed a little. The perch seem to be moving deeper. The best bite seems to be either along the deep 28-32’ break or even deeper in 32-34’. The perch being caught are all good sized, an honest 12-14”. Walleyes seem to be more active along the reef, but most are the 2013 year class. 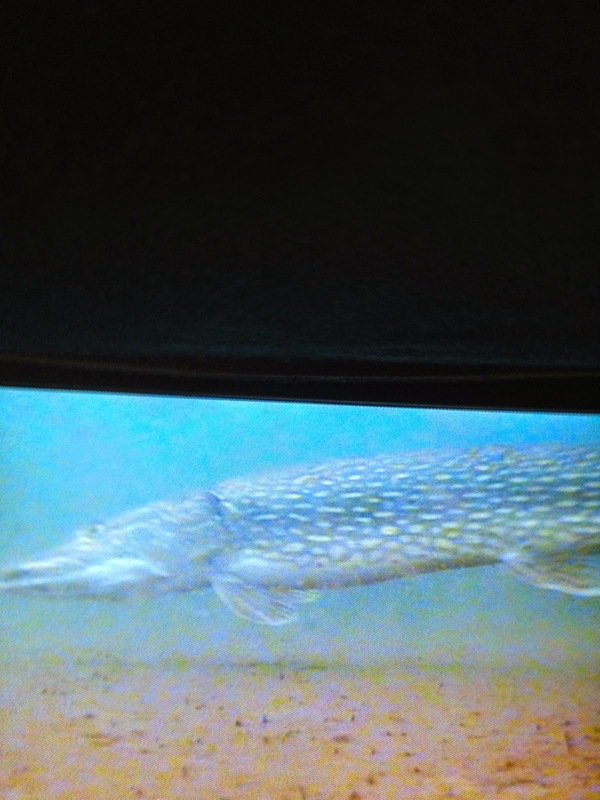 Bigger walleyes are also being caught along Agate Bay Reef. 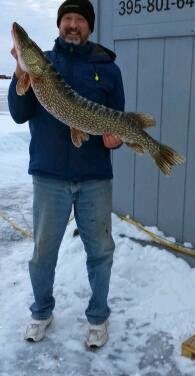 The big northerns have slowed along the reef and maybe this is why the smaller walleyes have moved in. Still no word from the DNR about 2015 harvest quotas. Rumor has it that the perch and northern quotas were unchanged and the walleye quota was still being discussed. I assume they have reached a conclusion but I have not heard what it is. I do not look for much of a change but hopefully they will allow more harvest this year. Next weekend is Valentines Day on Saturday and Presidents Day on Monday. Hope everyone will enjoy a nice long weekend. 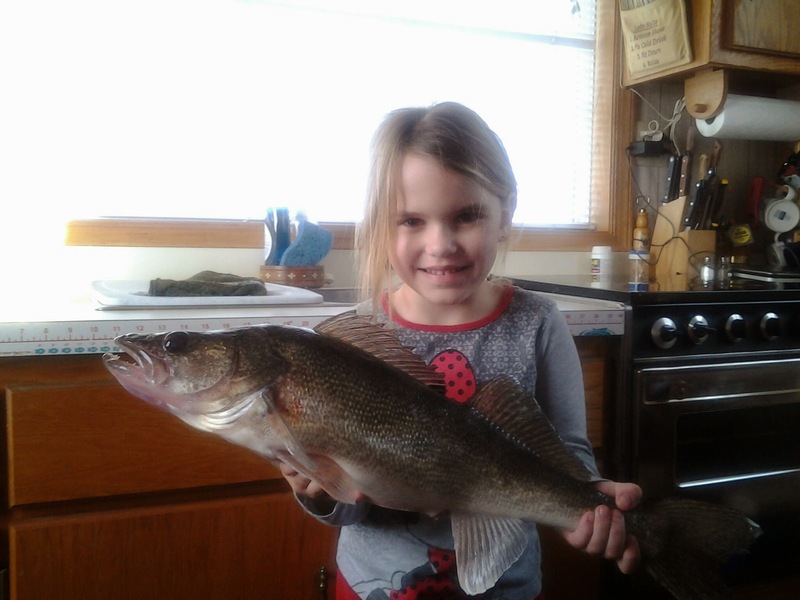 Sunday, February 22nd is the last day of walleye season and the last day for pulling houses off.